You secure a copyright for your original work of authorship the moment you put it in tangible form. While there is no copyright in an idea or concept, once that idea or concept takes shape in a tangible expression, a copyright is secured for that expression. The copyright law calls it an "original work." You establish copyright in original works such as literary pieces, musical works, lyrics, choreographic works, pictorial pieces, sculptural works, motion pictures, sound recordings and architectural works. There is no copyright protection for ideas, concepts, names, slogans, titles, theories, processes, systems or the like. Formal registration with the United States Copyright Office is not required to claim a copyright. Formal registration does, however, provide some advantages such as providing public notice of your claim of copyright in the work. Also, if your work was created in the United States, registration is required prior to filing a lawsuit to enforce the copyright. 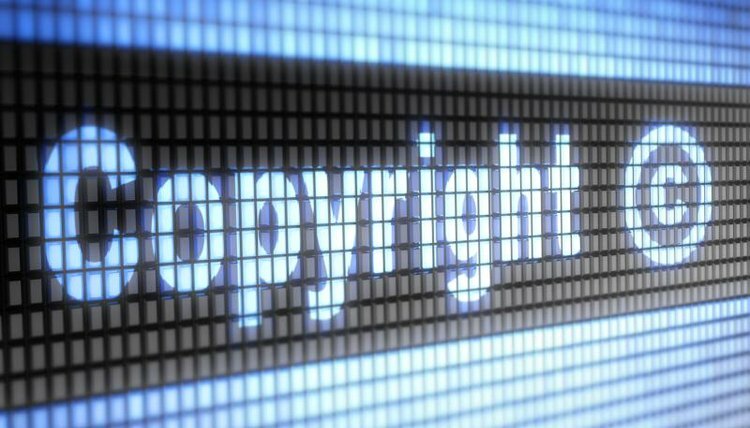 If someone is infringing your copyright by using your original work without your authorization, registration provides solid evidence to a court that you have a legitimate claim. Additionally, timely registration enables you to claim attorney's fees and statutory damages in court as opposed to solely the profits resulting from the infringing use. You, as the owner of the original work, a company or individual who has obtained rights to the work, or a duly authorized representative can file a copyright application to secure a registration for the work. Applications to register your work can be filed on the United States Copyright Office's website, sent by mail or hand delivered. The application consists of three parts: an application, a nonrefundable filing fee, and a "deposit" or copy of the work being registered. For example, a "deposit" of a sound recording would be an mp3 attached to an application filed online or CD accompanying an application filed by mail. While there is a schedule of fees on the website for more complex applications, you can generally expect to pay $35 or $55 when filing an online application. You will receive an email confirming receipt when the application is filed. The copyright office will then review your application and send a letter to follow up if additional information is needed. Otherwise, you will receive a registration certificate in the mail indicating formal registration is complete or a letter explaining why registration was not granted. The copyright effective date will be the date the application was received. You do not have to wait until after registration to publish the work or place a copyright notice on it. You can provide public notice that the work comes with a claim of copyright by including the copyright symbol, year and your name on the work. Based in Nashville, Tenn., Shai Littlejohn holds a J.D. from Howard University School of Law in Washington D.C. and a bachelor's degree in journalism from Howard University School of Communications. Shai attended Berklee College of Music before moving to Nashville where she is a songwriter, recording artist and attorney. Her articles have been published on Entrepreneur.com, Berklee Blogs and the National Law Journal. Littlejohn, Shai. "How to Establish a Copyright." , https://legalbeagle.com/6687020-establish-copyright.html. Accessed 22 April 2019.